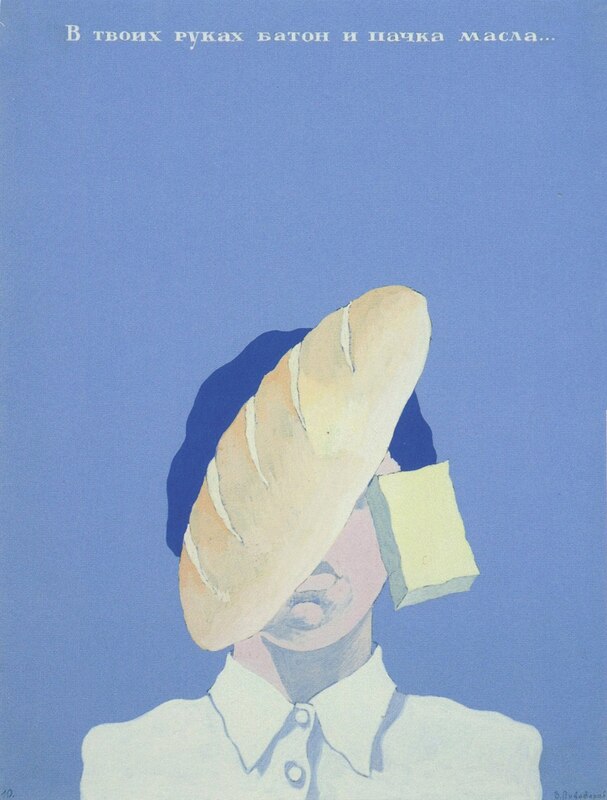 Viktor Pivovarov is one of my favourite artists and one of the central figures (along with Ilya Kabakov, Eric Bulatov, Irina Nakhova and Dmitri Prigov) in the Moscow Conceptualist artistic movement of the ’70s. In the West, conceptualism substitutes “one thing for another”—a real object for its verbal description. But in Russia, the object that should be replaced is simply absent. 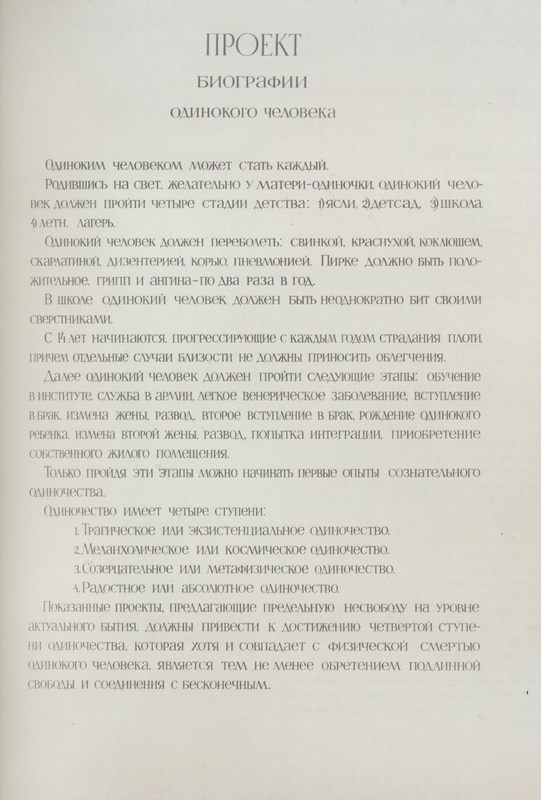 Pivovarov’s works produce effect of happiness, even the ones infiltrated with sadness, aversion or fear. The works are beautiful—often frighteningly beautiful and keenly tender—but the feeling of happiness does not originate from the enjoyment of beauty. The happiness comes from the feeling of being back home, in the secret room where the soul lives…. 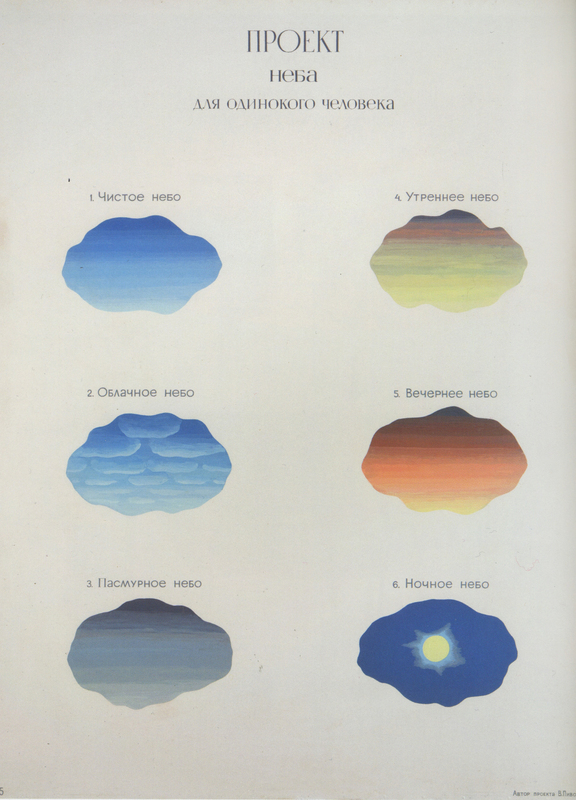 Pivovarov has been drawing the chamber of the soul all his life. 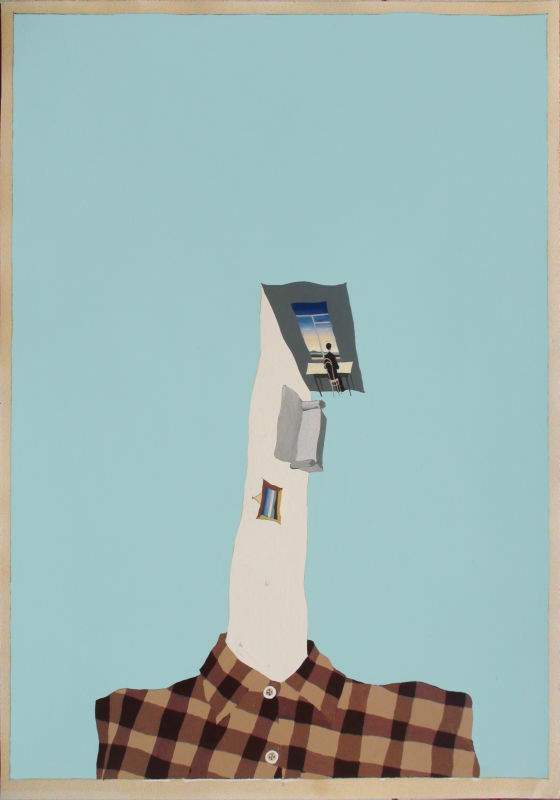 Normally, a room is a part of a house, and a house a part of a landscape. Yet the room of the soul is different. 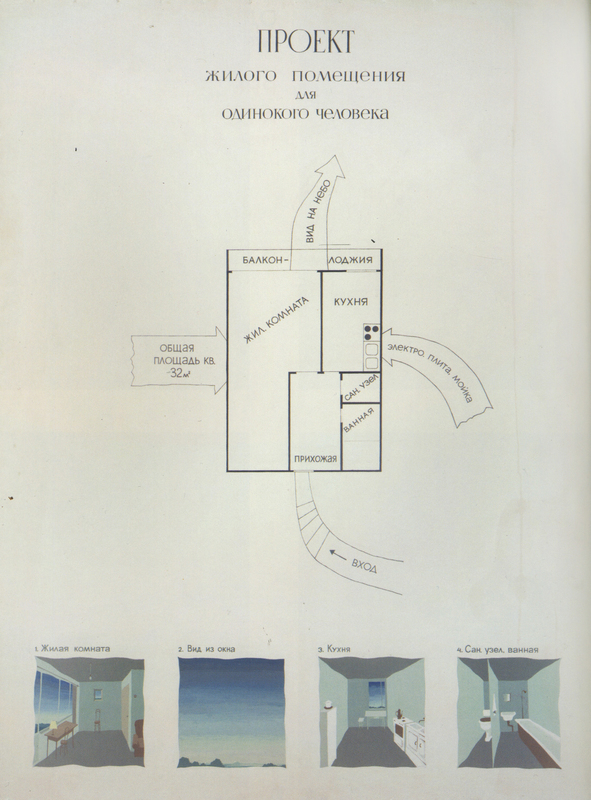 All possible buildings, all possible landscapes stay inside the room; the external is a fragment of the internal space. His chamber of the soul is Russian. It seems to have been invented by Dostoevsky, for it is his novels where characters live each in his room. Before that, people lived in houses, later in apartments. A soul lives not in a house, nor in an apartment, but in a room. 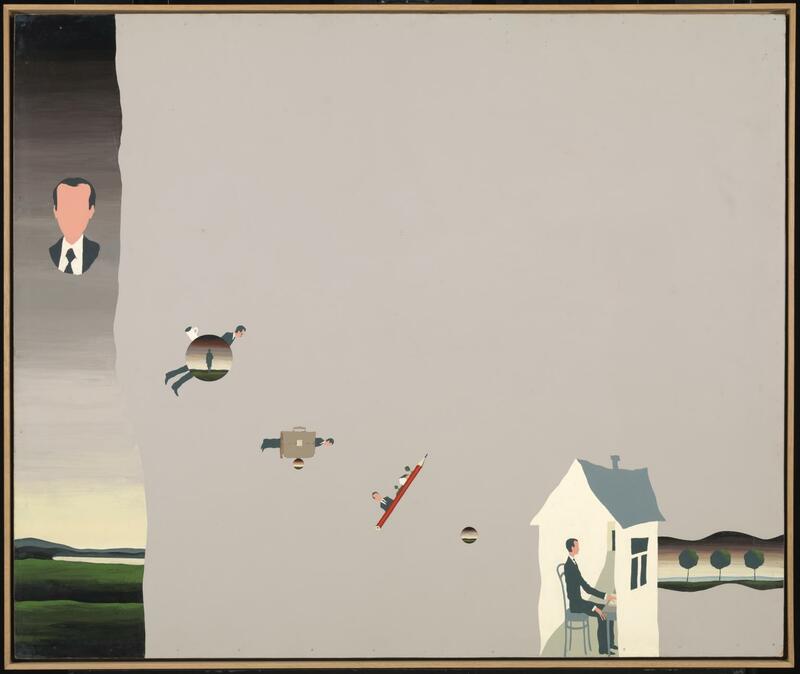 Pivovarov’s room of the soul is a Soviet room suspended in the air, hovering in a mysterious space where all economic circumstances turn meaningless. One glance at the chamber of the soul is enough to understand: no one is paying for this room, as children and angels do. It seems to me that I find a great response in Pivovarov’s works because I am in search of my own chamber where my soul lives. Perhaps my small Moscow room—the one that I’m talking about all the time when people ask me about my album—is an abstract rendition of that chamber of the soul. 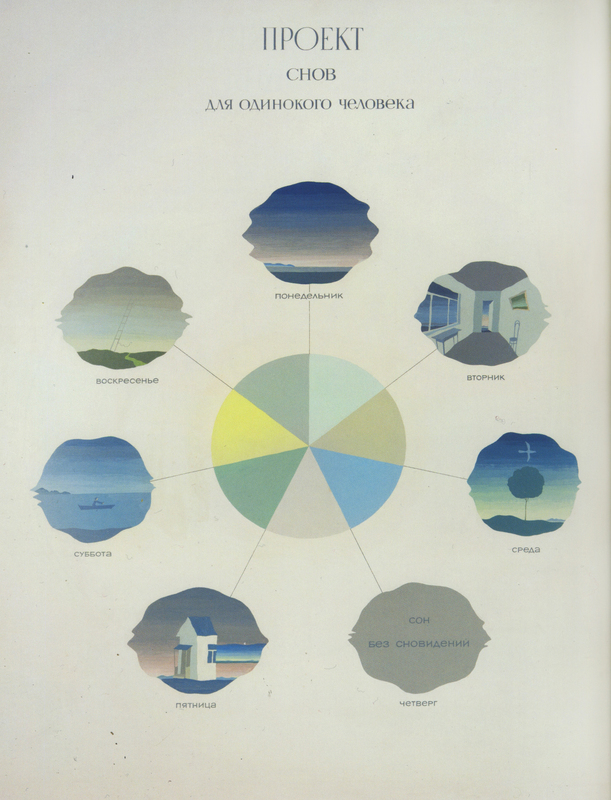 And the whole для FOR album is an audio installation for it. My music is a soundtrack for this room of the soul. 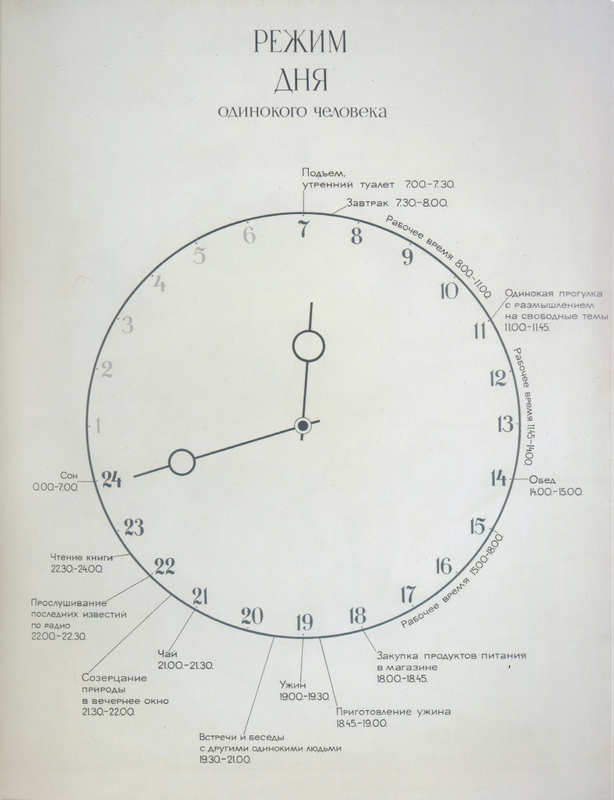 Projects For a Lonely Man is probably Pivovarov’s most popular work. Director Sasha Kulak and I used this project as an inspiration for our own videos. 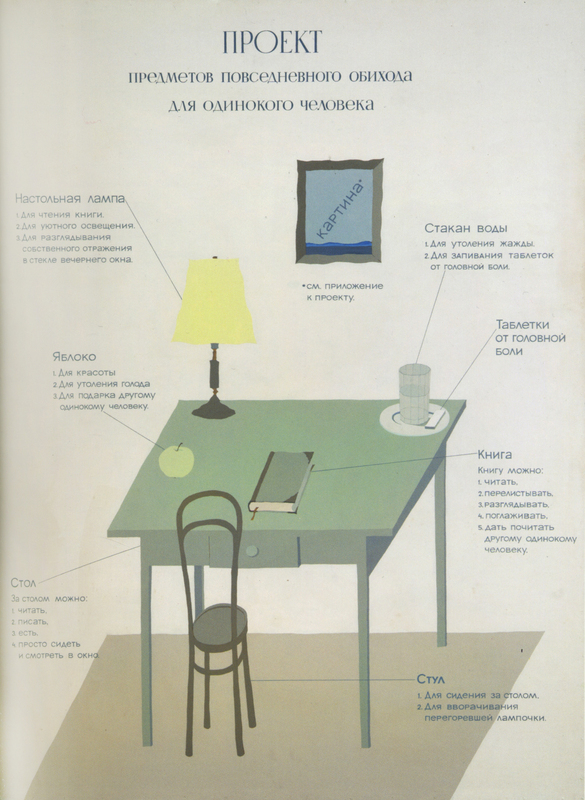 Here you can see the time schedule of the room itself, a picture of the table, and different objects with nice instructions and guidelines, such as “apple to eat or to give as a gift to another lonely person.” There are views from the window and even a dream schedule. Everyone can become a lonely person. After having been born, preferably to a lonely mother, a lonely person has to go through four stages of childhood: 1. nursery; 2. kindergarten; 3. school; 4. young pioneer camp. A lonely person is the one who has had mumps, measles, whooping cough, scarlet fever, dysentery, and pneumonia. He gives a positive Pirquet test and suffers through flu and tonsillitis twice a year. In school, a lonely person is the one who is repeatedly beaten by his peers. At 14 he starts going through carnal suffering that worsens from year to year; occasional moments of intimacy bring relief. A lonely person should go through the following stages: university, military service, minor venereal disease, marriage, adultery of the wife, divorce, second marriage, having a lonely child, adultery of the second wife, divorce, an attempt to emigrate, acquisition of living space. It is only after having passed through these stages that one can start his first experiments in conscious loneliness. By offering ultimate restraint at the level of actual existence, the presented projects should help reach the forth state of loneliness that, though coinciding with the physical death of the lonely person, nonetheless brings freedom and connects to the infinite. The Face album appeared the same year as Projects for a Lonely Man. Both of them share the same strenuous search for the existential foundation of man, with his doubts, fears and solitude. The album deals with issues of identity, a unique individual image that remains unrecognized in social space. At the same time, the album ends with an ellipsis, not a full stop, which means, “I still nurture the hope that we will meet somewhere and you will certainly recognize me and may even recall my face” (Vaclav Glotser). 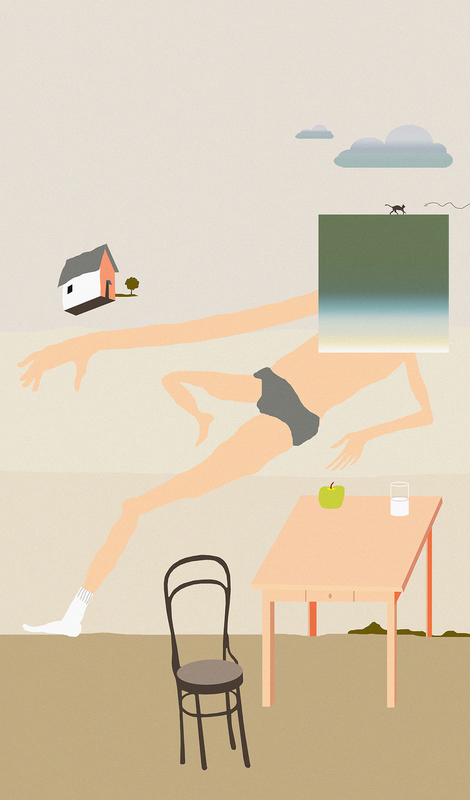 Kate NV’s latest album, ‘для FOR’, is now available through RVNG Intl. Stream it in full below, along with tour dates and more heady material from the Moscow producer.